Having spent the past 3 days trekking in the Sacred Valley, we were ready to visit the grand finale, Machu Picchu. We awoke at 4:30 am, quickly dressed and made our way to meet the group. 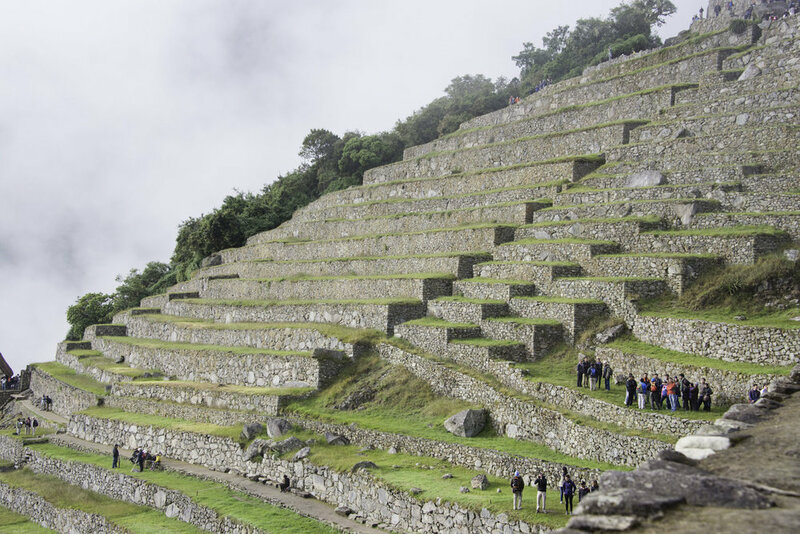 At that early hour most of the world remains in the realm of REM sleep, but the streets of Aguas Calientes were humming and alive with people rushing to get to the buses for Machu Picchu. People eagerly climbed aboard the buses, and settled in for the 30-minute ride up the mountain. The line already snaked down the street a mile, so Fabio jumped in line and I ran to get coffee. Because even at Machu Picchu, first coffee. 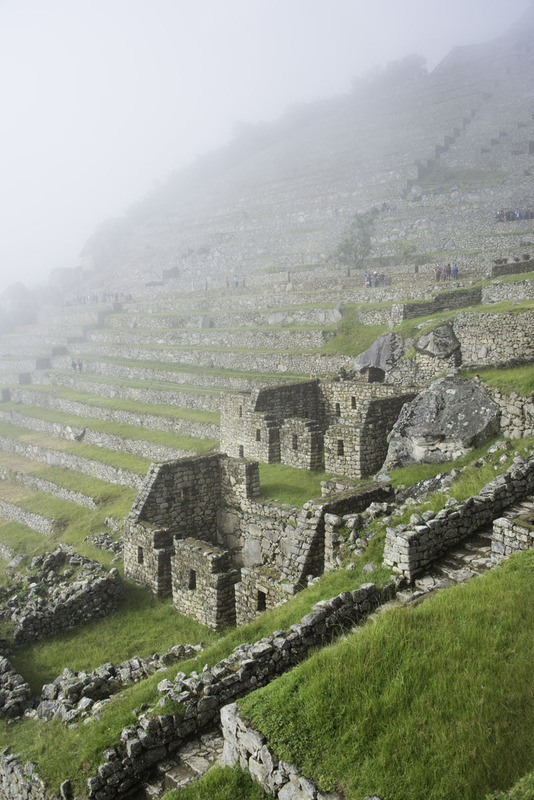 Passengers on the bus chatted excitedly about what they hoped to see, wondering if the sun would shine through the fog or if the ancient city would be covered in clouds. Would there be a huge crowd? How much did you plan to hike? 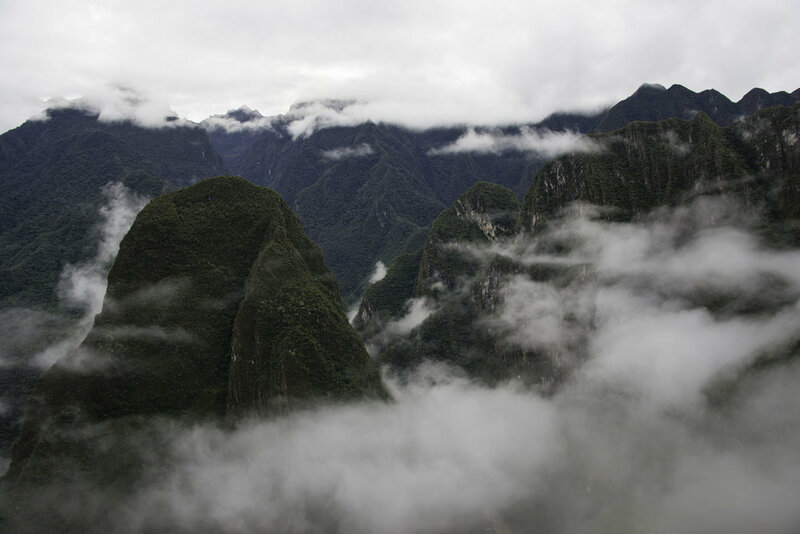 Were you hiking Huana Picchu (the mountain right next to Machu Picchu, rumored to be an even more difficult climb). Oh and don’t forget to have your passport stamped with the prized Machu Picchu stamp. Having that emblem in your passport meant bragging rights in the backpacker’s circuit. Upon arrival everyone quickly filed out of the bus and headed towards the entrance. Still cool, we were happy to have arrived early before the sun rose high in the sky. Even at this hour, people steadily poured through the gates at one of the world’s seven wonders. Our guide Miguel led us through the ancient Incan city explaining structures along the way, and pointing out specific architectural features. 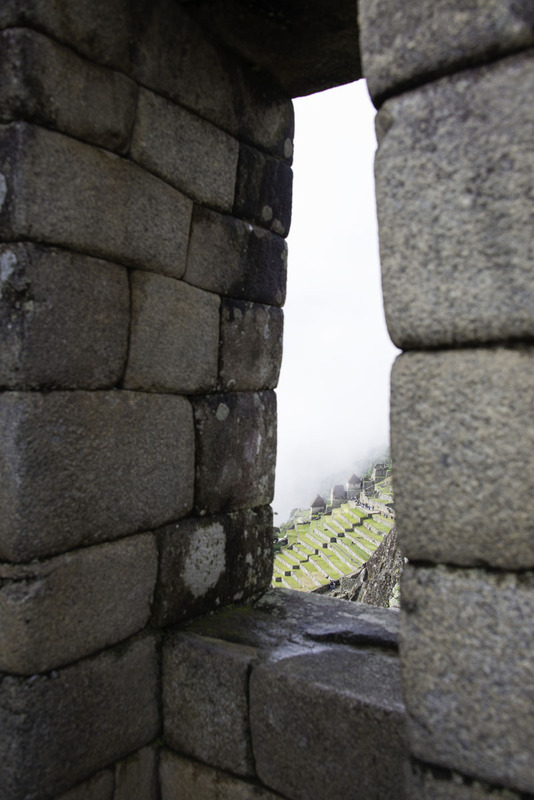 A window placed exactly so the sun would stream through at a specific day letting the Incans know when to plant that year’s crop. Their synchronization with nature was one of the most impressive facets of the culture. That and of course their adept construction skills, at such an early date able to build a city so robust it has endured over 500 years. 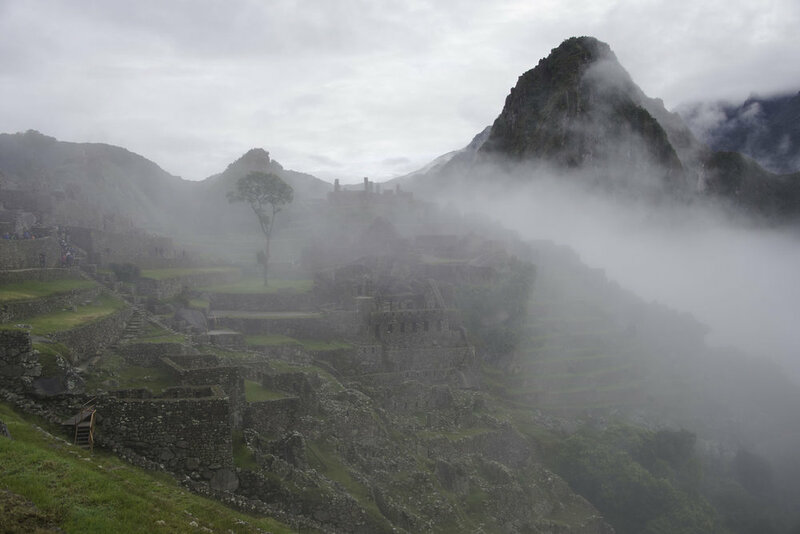 It was such an amazing feeling to walk through the clouds amongst the ruins at Machu Picchu. I hope the photos give you half of an idea of what our experience was like because it was truly incredible. Thanks for reading! Have you been to Machu Picchu? I'd love to hear about your experience.